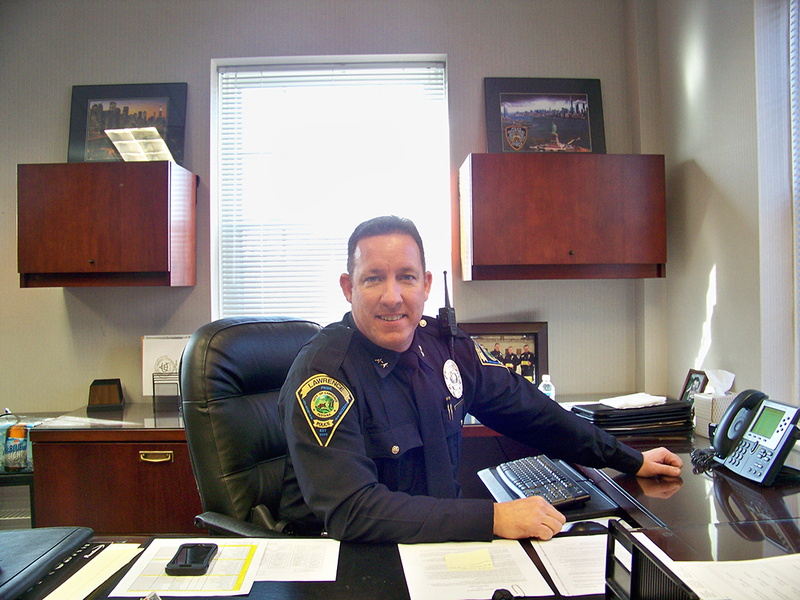 For the past 2 1/2 years, David Hofmann has led the Lawrence Police Dept. as its chief. He was hired when Lawrence Mayor Steve Collier took office. On July 12, Hofmann addressed members of the Greater Lawrence Chamber of Commerce at its monthly Breakfast Before Hours event at Westminster Village North. Hofmann said through the years, the department has grown with the city, but in many ways has been “squirreled away” in threadbare facilities. “Whether it’s a two-bedroom house on McCoy Street, which was basically an abandoned house that was turned into a police station, then they were in a township trustee’s office for awhile in a basement that just flooded all the time,” Hofmann said. Today, the Lawrence Police Dept. is housed in the city’s government center at 9001 E. 59th St., where it has been for more than eight years. In November 2017, the city announced its proposal for a new police station and 911 communications center on a 4-acre site at 5140 Post Rd., the former location of the abandoned Snafu Saloon. Prior to the announcement, the city commissioned a feasibility study with Carmel-based RQAW. “They gave us a report that said, ‘Here’s what you have, and it’s woefully inadequate by national standards. Here’s what you need, and here’s what we will project you need over the next 20 years,’” Hofmann said. “Why do we have a prisoner-holding bench right next to a door? And why are we processing heroin, fentanyl, cocaine and marijuana and counting cash right next to where an officer is having his lunch? This is historic, not only because it’s the first police station, but also because it gives our department an identity. A property room with a ventilation is another feature. On a more serious note, Hofmann mentioned the need for the increased security of a new station. 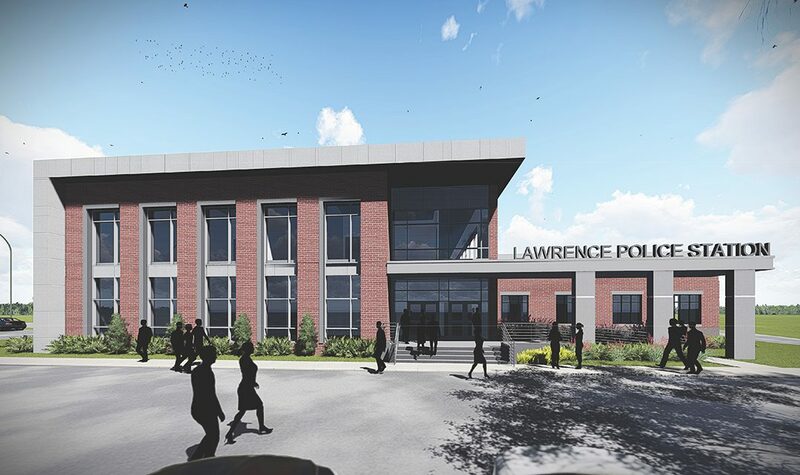 The Lawrence Common Council approved the proposal for the new station Feb. 5. Construction began July 11 after a groundbreaking ceremony. Construction is expected to be complete by the end of summer 2019. 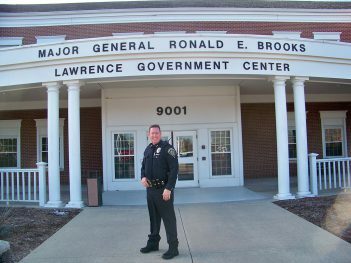 The new two-story Lawrence Police Dept. station, which also has a basement, is on approximately 4 acres at 5160 N. Post Rd. “Police chaplains get called out for all kinds of things, death notifications, fatal crashes, injured officers, anything where there’s an emotional support response need,” Hofmann said.